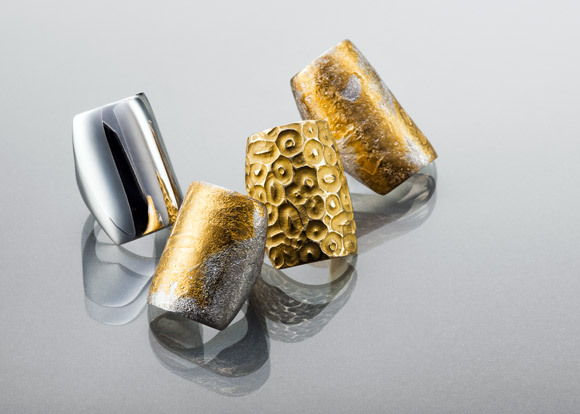 Studio based jewellery designer Emma Bracefield is attracted to organic forms with fluid movement and asymmetrical balance. Emma's refined shapes are informed by over ten years experience working with clients and observing jewellery’s relationship with the body. She also produces a limited series of ready-to-wear pieces often designed to interact with one another.